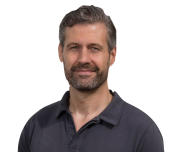 Marc is a Scrum Trainer and Coach, based in Munich. He began his career as a Java software developer in 1995, moved into consulting in 2003, became a project lead and team head. He worked in various domains, mainly in finance and telecommunications, but also in media and automotive. Marc is a very experienced Scrum Master and Scrum Trainer, who has been helping teams in adopting Scrum since 2008. He is passionate about non-violent communication and solution focused coaching, works mainly in Europe but loves to travel abroad.